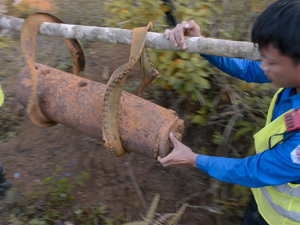 The bomb fell in the Laotian forest sometime between 1964 and 1973, and there it lay for decades, rusting in rain, oxidizing with time, until someone found it, cracked it open, and extracted the explosive inside, perhaps to sell or to use for bomb fishing or removing big boulders from a path. The weapon’s remnants ended up in a ditch, right outside a little shop house along a dusty dirt road linking Laos and Vietnam, run by a Vietnamese couple selling phone cards and noodles, hats and belts, chips and shampoo. The immigrants live there with their young son and never liked the looks of that old bomb—three feet of solid steel, red as the earth around it. Its back end was missing, and you could peer inside. Something didn’t feel quite right. But what could they do? In Call to Cancel Debt, Cambodia Asks: When War Is Over, Who Cleans Up the Mess? On Aug. 15, 1973, a flurry of American planes flew at least 225 military missions over Cambodia. It was the last day of a years-long covert bombing campaign, and it was ending because the secret was out – Congress demanded an end to the onslaught. The Vietnam War was right next door, and the United States aimed to stop the North Vietnamese from moving troops and equipment into South Vietnam along the Ho Chi Minh Trail, part of which ran through Cambodia. To that end, US forces dropped 2.7 million tons of ordnance on more than 100,000 Cambodian sites – more than Allied forces dropped during all of World War II. 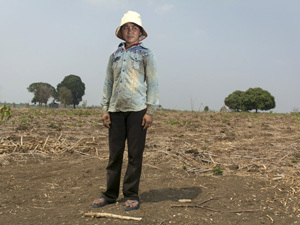 Sorl Blaet, a young woman in the remote northeastern province of Ratanakiri, was not yet born when those last bombs fell. But today, 44 years later, she lives with their consequences. Each morning, she wakes with soreness in her arms, legs, hands, and chest – the result of a 2008 accident when one of those bombs finally exploded, after lying dormant for decades. Heavy winter snows and a wet spring have filled the Rio Grande River through New Mexico with more water than it has seen in years, and water managers predict the river could stay up well into the summer. That’s good news both for people who rely on the river and for one of the river’s most threatened tiny inhabitants: Hybognathus amarus, a.k.a. the Rio Grande silvery minnow. Trump’s rhetoric aside, numerous studies provide credible evidence that migrants offer long-term economic benefits for their new communities. Reporting near the border? The ACLU has some advice for you. One day last spring, Sarah Silva drove north on Interstate 25 out of Las Cruces, New Mexico, with her boyfriend, Heath Haussamen, sitting in the passenger’s seat. They stopped at a Border Patrol checkpoint—nothing unusual for the two, who live roughly 50 miles from Mexico. 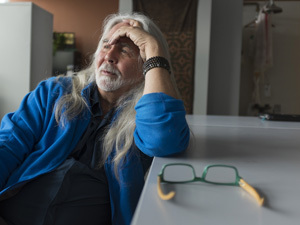 “We’re surrounded by militarized checkpoints,” Haussamen says. But he didn’t expect what happened next. The fossils are 2 billion years older than previous finds and could dramatically alter the timeline of the emergence of life on Earth. Ajok hadn’t heard a word of her two missing kids since February 2014. She didn’t know whether they were dead or alive, had crossed the border or not, or even where to begin looking. The batteries are designed to store wind and solar energy for later use. They’re non-toxic, non-corrosive and could significantly reduce the cost of production. Everything from dogs and blimps to Gamma-ray imaging systems and video surveillance is used to prevent people from crossing the U.S.-Mexico border, making the prospect of a wall seem obsolete.